Five different manufacturers occupy the top five positions in FP2, separated by just over two tenths of a second. 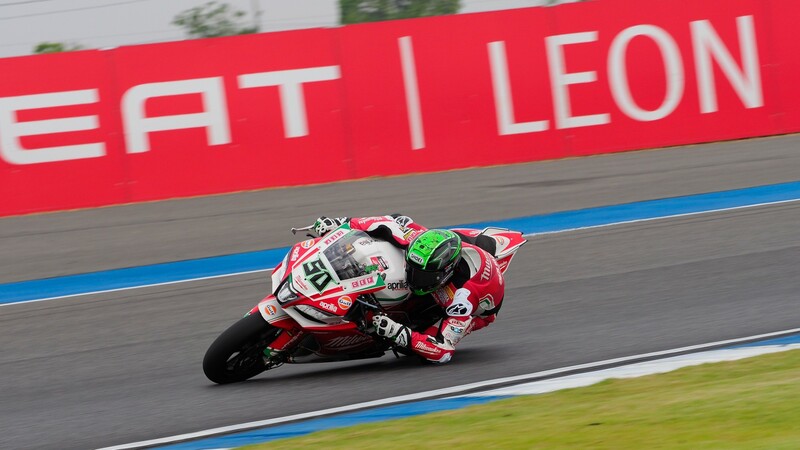 Eugene Laverty (Milwaukee Aprilia) topped the timesheets in FP2 with a 1:33.851 lap time, as the pace continued to hot up and the top runners were separated by ever-narrowing margins at the Chang International Circuit. 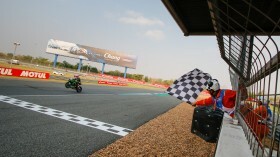 With just over two tenths of a second covering the top six runners at the end of the session, and five different machines within that pack, an entertaining weekend has already been set up at the Motul Thai Round. Xavi Fores (Barni Racing Team), who finished top in the opening free practice session by almost three tenths of a second, remained fastest for the majority of the session, and he finished the session comfortably top among the independent runners. 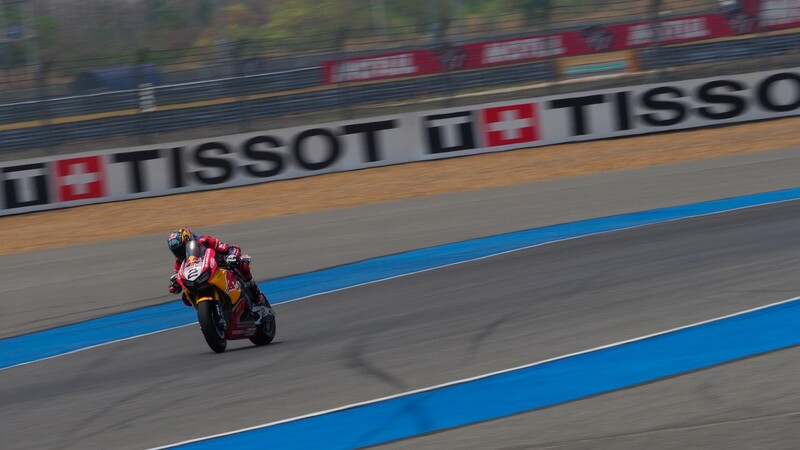 But a late flurry of activity saw him bested by both Laverty and Leon Camier (Red Bull Honda World Superbike Team), who finished just 0.034 seconds short of the Irishman. Jonathan Rea (Kawasaki Racing Team WorldSBK) showed the most significant improvement compared to his earlier times, taking fourth position in FP2 having finished just eleventh in FP1. Behind him Michael Van Der Mark (Pata Yamaha Official WorldSBK Team) made it five different brands in the top five with his best lap of a 1:36.068. 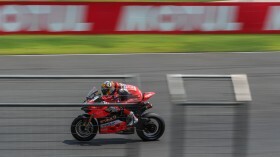 Yamaha Finance Australian Round winner Marco Melandri (Aruba.it Racing – Ducati) and Chaz Davies (Aruba.it Racing – Ducati) had a relatively subdued session, finishing in ninth and tenth positions. 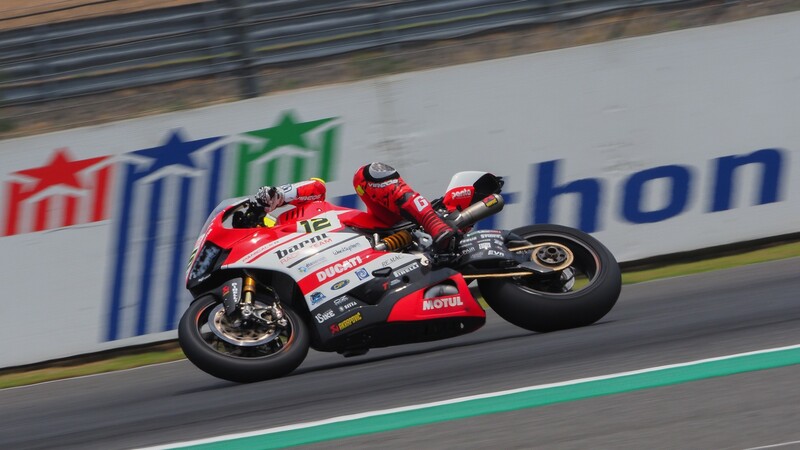 Davies got the verdict over his teammate by just over a tenth of a second, despite his running being interrupted by a turn five crash with twenty minutes remaining on the clock. 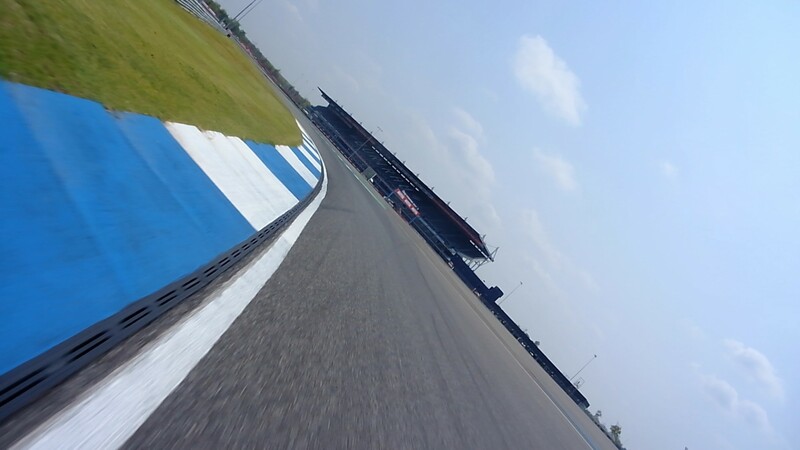 Follow the rest of Friday’s action with Live Timing on WorldSBK.com, and watch all the highlights and reactions with theWorldSBK VideoPass.